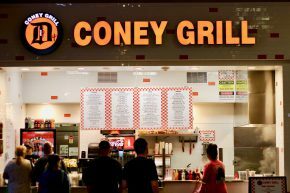 EDIT: This location is a goner, but you can still find Coney Grills in Tempe and Phoenix. 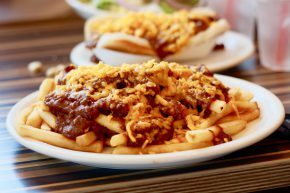 My wise wife once said, “You can take the man out of Detroit, but you can’t take the Detroit out of the man.” When I was living in LA, one of the most exciting things to happen was the opening of Coney Dog, a Detroit-style chili dog spot. Due to probably a number of circumstances, that business failed. 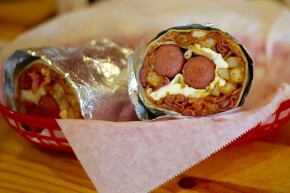 In Phoenix, however, a spot called Detroit Coney Grill seems to have made all the right decisions because it now has THREE locations in the area. And for some reason the Tempe location closes at 7:00, so I made my way out to Mesa to try it out for myself. Fried mac, sausage, can’t lose. 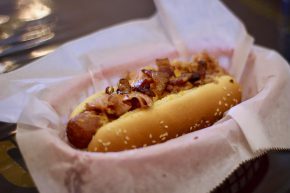 Could there be a more inviting name for a sausage spot than Bike Jim’s Gourmet Dogs? 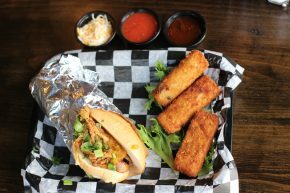 You’d be hard-pressed to find one, but that only partly explains the rise of this brick and mortar that began as a simple (and yet gourmet) hot dog cart. I went to the location in downtown Denver and struggled to find the right sausage for me. What’ll Ya Have at The Varsity? Can you guess which side is mine? Every city has its share of iconic places to eat. 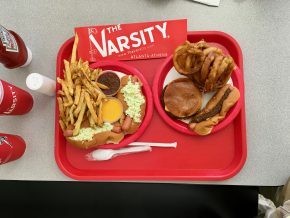 In Atlanta, one of those places goes by the name of The Varsity and has been around since 1928. They still do the paper hat thing and the people taking orders are famous for asking “What’ll Ya Have?” As far as the food goes, it’s basically what you would expect from 1928: hot dogs, burgers, fries and onion rings. Gordon likes it this way. 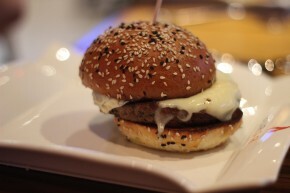 When it comes to late-night snacking, it can be tough to find a good spot after 1 am in Las Vegas. 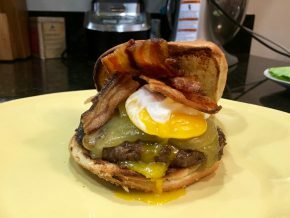 It’s surprising, because I would assume places would make bank with the after-club crowd, but alas, Gordon Ramsay’s BurGR (see what they did with the G and R there?) was one of the few spots open near my hotel. I had never given much thought to visiting a Gordon Ramsay restaurant, but I supposed there was no better time than the middle of the night. Usually when a restaurant name includes something that I hate very much, I go into that restaurant expecting the worst. 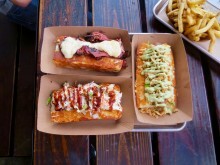 Yet, while I have never had any need for slaw, I somehow knew that The Slaw Dogs in Pasadena was going to be an experience to remember. 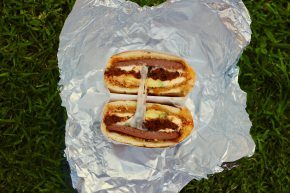 Sure, there were all sorts of options that made my mouth water, but it was the throwback to Oki Dog that really got me excited.